Ballad of the Weeping Spring will open this year's AICE Israeli Film Festival. The redemptive power of music has long featured as a theme in cinematic tradition - recall The Soloist's tormented street musician and the frustrated composer of Mr Holland's Opus. Now there's also the Ballad of the Weeping Spring (Balada Le'Aviv HaBohe) which tells the story of Josef Tawila (Uri Gavriel), a dying man haunted by an unperformed melody he wrote 20 years earlier. Tawila travels the northern Israeli countryside in search of the best musicians to perform Ballad of the Weeping Spring and, in doing so, to begin to heal the wounds of the past. 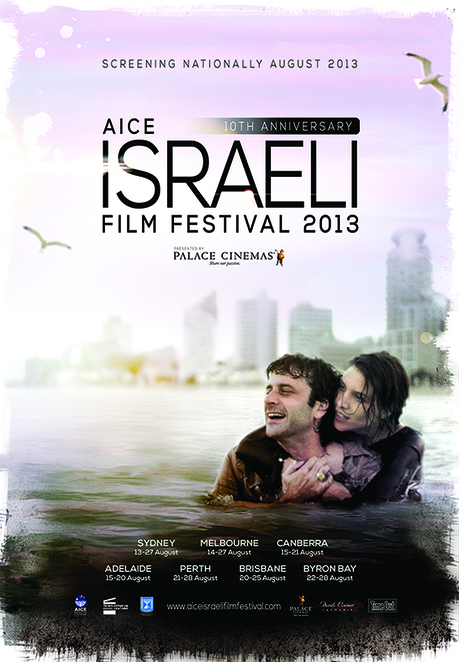 The AICE Israeli Film Festival is screening in Brisbane for the second year. This award-winning feature opens this year's AICE Israeli Film Festival Palace Centro. Over the 10 years the festival has been held in Australia, it has grown from a small niche event to one which is much higher profile and set to screen this year in seven Australian cities including Brisbane. Other compelling films to screen include A Bottle in the Gaza Sea, about an unlikely friendship between a French teenager who has recently immigrated to Israel and a young Palestinian man living in Gaza and the revenge thriller Big Bad Wolves which has as its inciting incident the release of a suspect in a series of child murders. Heavy themes, I know, but there are some lighter touches. These include Single Plus (Ravaka Plus) whose protagonist is under pressure from her demanding mother to produce a grandchild before she dies. She agrees to act as surrogate to a wealthy couple, so long as she can keep the child for as long as her mother is alive - but quickly learns that family ties aren't so easily unravelled. Historical, social and political documentaries also feature prominently in the AICE Israeli Film Festival program. Must-sees include the award-winning The Gatekeepers (Shomerei HaSaf) which is described as "one of the most controversial documentaries ever made in Israel" as it features interviews with all surviving former heads of Shin Bet, the the Israeli secret service. Billed as "remarkable" by the New York Times , Israel: A Home Movie (Kach Ra'inu) weaves together home movie footage to tell some of the personal stories which unfolded against a backdrop of the first 30 years of Israel's existence. A special screening of Exodus chronicling the formation of the State of Israel will close the festival. It's quite an epic at 208 minutes long - but organisers have thoughtfully penned in a short interval to let cinema-goers stretch their legs. Palace Cinemas are offering WEN readers a chance to win 1 of 5 double in-season festival passes; competition is now closed; winners will be notified shortly. Many thanks to Palace Cinemas for this great giveaway.